How many months pregnant are you at 11 weeks? What symptoms do you experience in the 11th week of pregnancy? At 11 weeks, you are two-and-a-half months pregnant. You are just a few weeks away from entering the second trimester. Your baby starts to develop a human form, and you will hear your little one’s heartbeat for the first time. After the 11th week, you can also travel safely as the baby is out of the danger zone. What else happens in this week? Momjunction tells you about the development of the baby, the changes in your body, and the tips to follow in the 11th week of pregnancy. The baby is about the size of a Brussels sprout (1). Your baby measures 1.61in (4.1cm) in length and weighs about 0.25oz (7g) (2). Next, find out how the baby develops inside at this time. 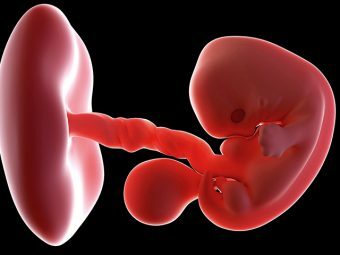 Here is how the baby’s body parts are developing in this week. 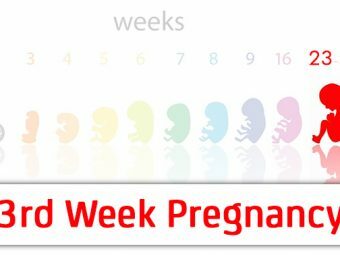 With all these developments happening in your womb, how are you going to feel in this week of pregnancy? Keep reading to know. Fatigue: As the body starts working extra, you feel more fatigued. Morning sickness: It starts easing by this week and the appetite increases. Food cravings and aversions: The hormonal fluctuations can increase your cravings and make you averse to some foods. Constipation and bloating: The progesterone hormone relaxes the gastrointestinal tract that slows down digestion process and makes you bloated. Heartburn: Due to the hormonal changes, the muscles in the digestive tract relax, pushing the gastric acids towards the esophagus to cause heartburn. Leg cramps: The compression of the blood vessels due to the growing uterus can lead to leg cramps, commonly at night. Drinking a lot of water and frequently stretching your legs can help prevent cramps. Frequent urination: The growing uterus applies pressure on the bladder, which increases the frequency of urination. Vaginal discharge: A small amount of milky white or off-white discharge is usually noticed during this week. These symptoms are indicators of the changes taking place in your body. More about it next. Pregnant belly – first-time moms may not find any change in the belly size, but second-time moms or moms pregnant with twins may show a small belly bump. As most miscarriages happen in the first trimester, it is important to know if you have that risk. Women who conceived on ovulation drugs. If you experience these symptoms or anything unusual, call your doctor right away. If you do not have any such symptoms, carry on with the scheduled doctor’s visit for the week. i. Ultrasound for nuchal translucency: It is done to evaluate the risk of Down syndrome in babies, by checking the thickness of the fluid in the area behind the baby’s neck. The thicker the fluid, the greater is the risk of Down syndrome. ii. 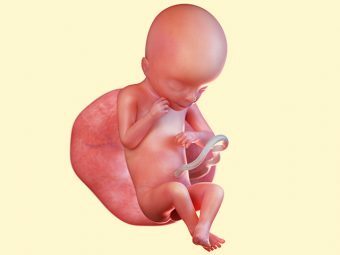 Nasal bone and gestational age determination: The ultrasound scan can help visualize the nasal bone and calculate the correct gestational age of the fetus. In babies with Down syndrome, the nasal bone may not be clearly visible. iii. Blood test: The blood test measures the level of two compounds in your blood. (a) PAPP-A (Pregnancy-associated plasma protein A) – This is a type of protein produced by the placenta during early pregnancy. (b) Human chorionic gonadotropin – This hormone is produced by the placenta in the early stages of pregnancy. Abnormal levels of either compound indicate a risk of chromosomal abnormalities in the baby. The results of all the three tests are combined to evaluate the risk of Trisomy 18 and Down syndrome in babies. If the results are not normal, additional tests such as amniocentesis, cell-free fetal DNA, chorionic villus sampling, or ultrasounds are recommended. The physical and mental well being of the mom is necessary for the proper development of your child. Keep reading for tips on taking care of yourself at this time. Drink a lot of water to stay hydrated. Stick to a healthy lifestyle and eat home-cooked food. Stay away from raw, undercooked, and fried foods. Avoid swordfish, shark, king mackerel, or tilefish, which are high in mercury. Carry fruits and snacks with you, if you are a working woman. Avoid too much of caffeine as it can affect the growth of the fetus. Take prenatal vitamin supplements for folic acid and iron. Engage in moderate physical activities like walking, which boost your energy level. Stay calm and keep stress at bay. Use moisturizers to prevent itchy and dry skin. Do not take any medication without the doctor’s permission. Wear loose, breathable clothes and switch to nursing bras for supporting the enlarged breasts. Wear comfortable shoes or slippers. Most importantly, get all the help you can from the dad-to-be. Create a good environment at home. Attend all the prenatal visits. Give a good neck and foot massage. 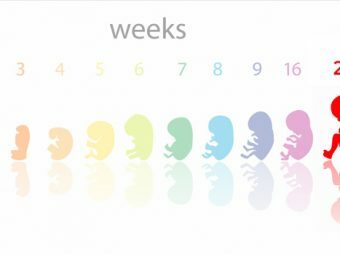 At 11 weeks, you are still adjusting to the changes brought in by pregnancy. So, if you have any doubts and fears, talk to your doctor and your family about them. This is also the time to strengthen the relationship with your partner further, while taking care of yourself and the baby. 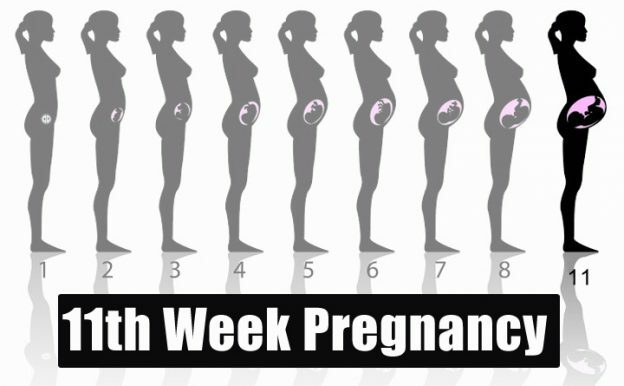 Use the comments section below to share your experiences in the 11th week of pregnancy. 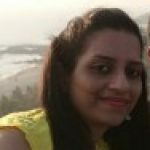 3rd Month Pregnancy Diet - Which Foods To Eat And Avoid?